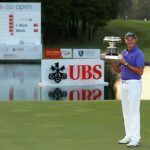 Sam Brazel produced a stunning approach shot to the final hole to set up the brilliant birdie which defeated Rafa Cabrera Bello by one shot and secured his first European Tour title at the UBS Hong Kong Open. The Australian began the week ranked 480th in the Official World Golf Ranking but entered the final day at Hong Kong Golf Club tied at the top of the leaderboard alongside Ryder Cup star Cabrera Bello in just his 17th European Tour appearance. At one point there were six players in a tie for the lead on the back nine but Brazel held off a group with 11 European Tour titles between them, and an eight-foot putt on the last handed him a closing 68 and a 13 under par total. Cabrera Bello had birded the 16th and 17th to set up a grandstand finish down the last but he could only make a par and finish 12 under as Brazel’s incredible approach set up just the second birdie of the day on the closing hole. Australian Andrew Dodt and England’s Tommy Fleetwood were then at 11 under, a shot clear of American David Lipsky and two ahead of Masters Champion Danny Willett. Brazel was visibly emotional as he lifted the trophy and the 37 year old credited a new set of clubs with helping get him over the line. The Australian is expected to move into the top 150 in the world when the rankings are published on Monday. Sam Brazel: “It’s been a long time coming. I’ve been playing good but it’s been a bit of a struggle with the old irons but I got set up with a new set of clubs, and it’s all sort of turned around. This is the fruit. I wouldn’t say I got the shot into the last straight out of the middle but I’m pretty stoked where it finished, I’ll tell you. 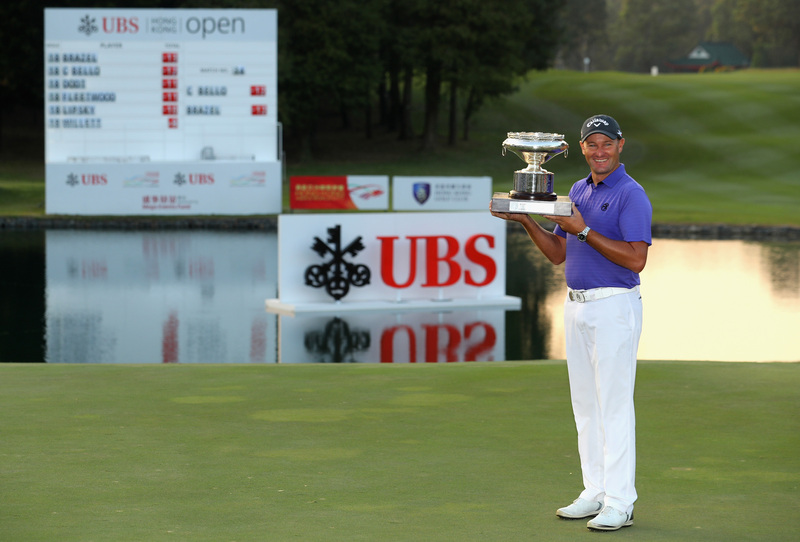 Rafa Cabrera Bello: “Obviously the week if you look at it overall, it’s a great week, finishing second. Just a little disappointed today. I managed to start good again but then struggled halfway through the front nine. I battled back really hard again, same as yesterday. But then Sam just played a fantastic 18th hole.